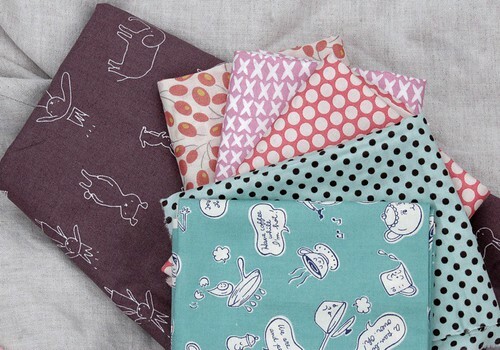 plus twenty of the little 1/8th squares they sell (i just love digging through those bins of little fabric bundles). and then, yes, then i came home and ordered another couple of half yards of the kei honeycomb in grey and aqua from matatabi after falling in love with it in a quilt displayed at amitie (they were sold out). it's shameful, really. shameful. i am ashamed. 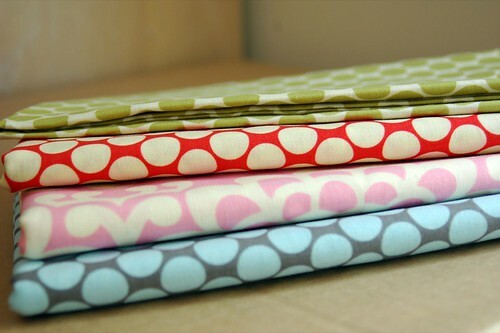 now i'm just going to go roll around in my new fabric and wait eagerly for the postman to arrive tomorrow. It was great to meet you last night! And you know I'd been eyeballing that purple fabric you bought all night and this post just sold it to me! I think it need it! The purple fabric is doing it for me too! lovely collection - the one with the sweet animal print is precious! First time commenting. Lately I am just hording the fabric too. But nothing comes out of it. I need to stop too and be productive, but it is so much nicer to just admire piles of it. :)Love your selection and can't wait to see what you will make.